One of the most useful features the iPhone has is it's built in GPS. Aside from doing cool things with it like letting you checkin to your favorite restaurant, the most basic and popular use of the iPhone's GPS is navigation. 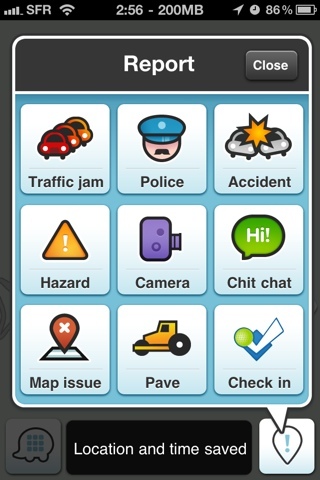 Waze (in case you haven't heard about it yet) is exactly that, plus more. So not only does Waze give you a full-fledged turn by turn navigation app, for free (compare that to $100 or so for a competing GPS app), but they've taken it to the next level by crowd-sourcing traffic information from all their users. 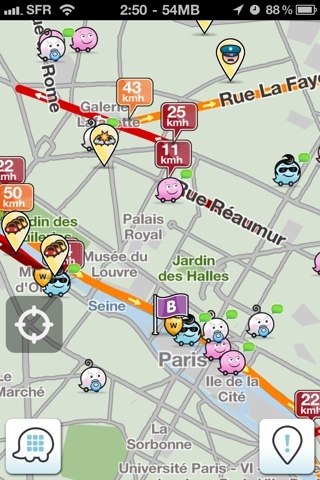 What that means is that Waze aggregates real-time information from their millions of users and steers users who are navigating away from traffic based on that information. Think of it as if they had millions of eyes looking at the roads and then telling you how to drive so that you can avoid traffic and reach your destination fastest. So your GPS device is now constantly connected to millions of other people and it's learning from them. 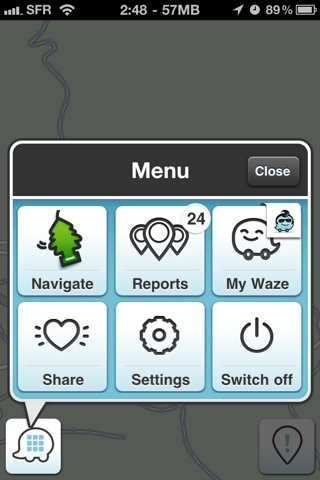 Waze are also doing some very interesting and useful stuff behind the scenes: things like mapping new roads and updating maps based on where their users are driving, and a lot of game-like activities in the app to keep it both interesting and engage users properly. Pretty cool stuff, and it works really well.